Oohh do I love starting out a new month with an amazing read, it really sets the tone and I was so impressed by this book! 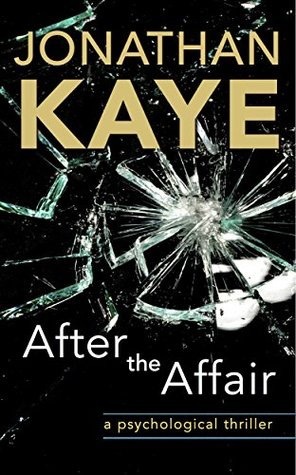 After the Affair is Kaye’s debut novel, but let me tell you, it doesn’t read like a debut at all. The writing style reads like that of a seasoned novelist; the pacing was spot on and the plot itself? Utterly absorbing. This starts with one of those prologues that immediately draws you in, then flips ahead almost a year later to a completely unrelated storyline. (Or is it?) David Ryan is a married man with a young son, and he’s having an affair. He thinks that it’s his dirty little secret, but someone knows exactly what he’s been up too, and they’re not happy about it, so they begin to blackmail him. That’s as far as I’m going to delve into the plot details, but the basis of this book is the serious ramifications that David faces because of his choice to have an affair. I really admired the way Kaye got inside his characters heads, you get a very real sense of how they think and who they really are, warts and all. It’s not always a pretty picture, and David isn’t the most likable guy, but it’s raw and brutally honest. Besides David, you also get to know Martin. I don’t want to say exactly how he fits in, but he’s quite the rascal. The dialogue between these two felt so genuine, it read like a real conversation, no awkwardness to be found. I know this is a totally overused phrase, but it really was a page turner. As David’s entire life begins to fall apart, the hits just kept on coming and left my head spinning. The whole thing is a tumultuous ride that takes you on a journey into a seedy underworld, mainly that of the dark corners of the web. There is some very dark and twisted stuff here, sordid affairs and hard hitting, worrisome situations. The big twist was a stunner, the shock value was high but it wasn’t unbelievable. I highly recommend this for fans of psychological thrillers looking for a fresh twist on the whole cheating spouse plot. Thanks to TBConFB and the author for my review copy. This sounds intriguing…you’re hurting my TBR lately Amy!! Haha sorry!! It really was good, I liked that it was a normal guy dealing with sorts of crazy stuff. Hahaha!!! Mine is about to explode as well. I love the sound of this one! Great review Amy! It really was one where I had no clue it was coming! Clever stuff.